Swiss-born graphic designer and illustrator, Erik Nitsche (1908-1998) is primarily identified with the remarkably modern work he produced for the defense contractor, the General Dynamics corporation in the 1950s and 60s, along with a series of smartly designed science and technology history books. All of this influential work sealed his position as one of the pioneering graphic designers of the last century. Previous to these achievements, Nitsche produced scores of advertisements for fashion and pharmaceutical clients in New York, and publishers such as Town and Country, Harper's Bazaar, Vanity Fair, Arts & Decoration, House & Garden and Fortune magazines. His achievements in designing album covers for Decca Records were some of the most inventive of the modern era. 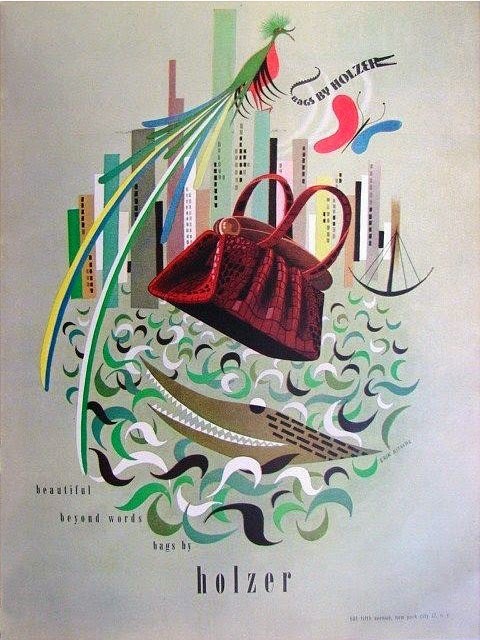 Discovering this 1946 magazine advertisement for Holzer alligator handbags, found here, further impressed me with his range of talent and capability. 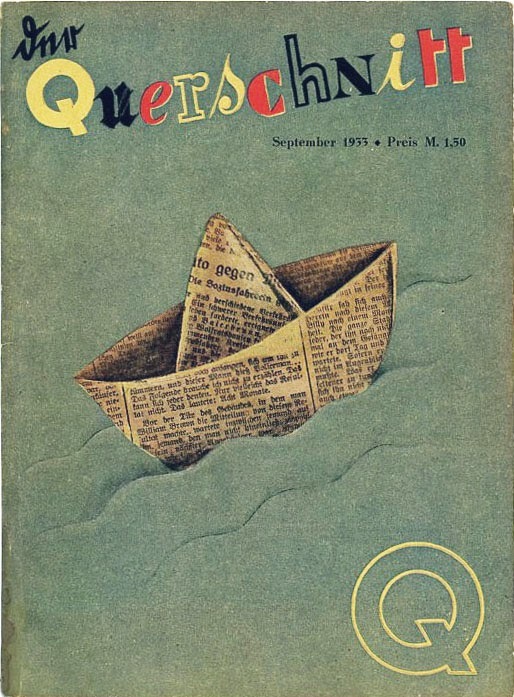 Below is one of Nitsche's early cover designs for a 1933 issue of Der Querschnitt, (The Cross-Section), an art and literary journal which ceased publication during the rise of the Third Reich in Germany. 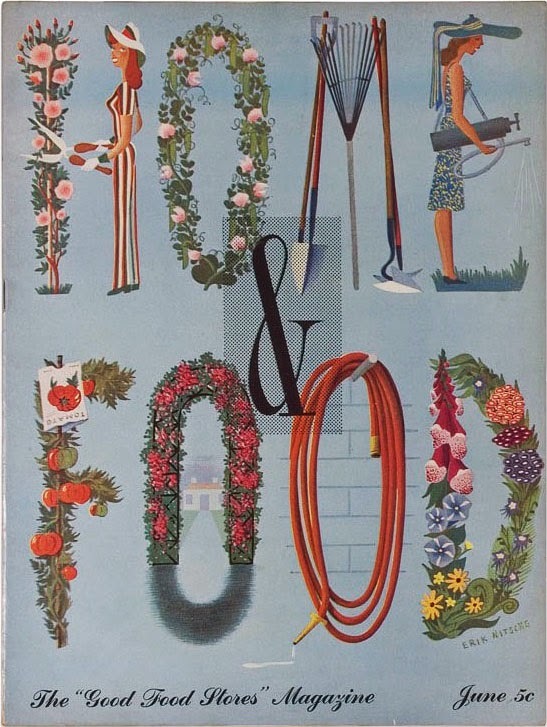 This undated Home & Food cover design is another fine example of the range of Nitsche's limitless talent. With exception of the toxic letter E, which should be banned by the US Environmental Protection Agency, his horticultural lettering appears as charming and fresh today as it was at the time it was first produced decades ago. Duly noted is the dripping hose. Nitsche lived until age ninety and enjoyed a long and successful career with clients as diverse as handbag designers to military submarines. Long after the age when most people retire, he continued to paint, design postage stamps, childrens' books and build a collection of avant-garde toy designs. For further reading, drop in at Typotheque to read Steven Heller's great essay, Erik Nitsche: The Reluctant Modernist.